A new generation of pipeline robotics that can extend the life of large diameter cast iron pipeline infrastructure could help save time and money for utility companies. The systems, developed by US firm ULC Robotics and UK gas utility SGN have recently been field tested on a live, cast iron gas main in London. The CIRRIS XI Inspection Robot is described first-of-its-kind robotic system that internally assesses the condition of cast iron pipelines and collects critical pipeline integrity data that, before now, network operators were previously unable to obtain. 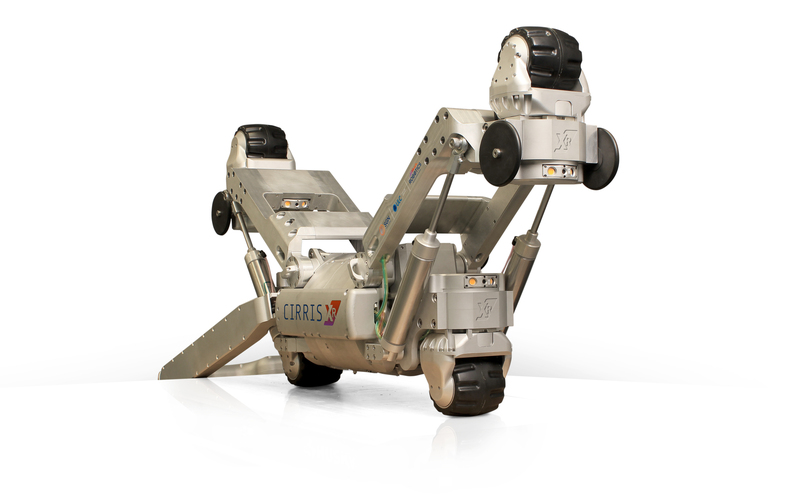 The second robotic system, the CIRRIS XR™ Repair Robot, repairs leaks and prevents future leaks from occurring through the injection of sealant into the joints of the cast iron gas main. The pair are designed to work in tandem to deliver a improved cost efficiency and minimise disruption to the public. Both ‘bots can carry out their work in live gas mains. Cast iron pipelines are utilised around the world, but due to their size, weight and inaccessibility can be very costly to replace. However, the thick pipe walls of large diameter cast iron gas mains are capable of providing safe and reliable service for hundreds of years. By entering the main through a very small excavation in the street and travelling hundreds of meters in either direction to assess and renew these gas mains, the Cirris robots will deliver reduced public disruption and lower costs while fixing and preventing harmful gas leaks. ULC’s mechanical and electrical engineers, sensor scientists and precision machinists worked collaboratively with SGN’s innovation team to develop the technology. ULC Robotics began collaborating with SGN when it inquired about a predecessor model, the Cast Iron Joint Sealing Robot, or CISBOT. That led to a two-year contract and a funding deal for R&D on the latest line. Penza sees robotics as the next great economic evolutionary step after the digital revolution.